Recover ancient relics found in the ruins of Fort Faleria. I accepted a bounty to investigate unnatural phenomena preventing the excavation of Tribune's Folly. Read the Bounty Board in Kvatch and accept the bounty. (Optional) Talk to Finia Sele for more information. Gather the three relics and clear the excavation site. Return to Finia Sele for your reward. "WANTED: Mercenaries needed to investigate unnatural occurrences reported at Tribune's Folly. Our dig has been disrupted by the otherworldly intrusion of disembodied voices, hostile shadows, and rumblings that shake the foundation of the site. The source of these intrusions must be discovered and dealt with so that the excavation may resume. Recovery of relics from the abandoned site is also desired. 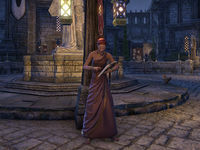 Interested parties should make their claims to Finia Sele in Kvatch's Market Square." You can talk to Finia Sele who will provide you with further details. She can be found on the market square, not far from the Bounty Board. When you speak to her, Finia will sigh, "All that work and not a thing to show for it .... Oh, I'm sorry, did you need something?" I'm here about the bounty you posted. "Oh, thank the Eight! I was wondering if anyone would be willing to take such a request seriously. When I was writing about disembodied voices and menacing shadows, I felt rather foolish." "Ruins excite the imagination, I know, but my workers came wailing out of that smoking hole like it was a gate to Oblivion itself. I believe them when they say shadowy figures emerged from the darkness. And the wounds they suffered were real enough." Where can I find the relics mentioned in the bounty? "Anything we had excavated was abandoned near the entrance to the dig site after my panicked workers went running for the hills. Even the few we'd manage to remove vanished in the night. They could have been stolen, but I'm not so sure." "Before we started our dig, the location was literally just a hole billowing smoke from the ground. A geological oddity, but not much else. When I discovered it might have been the former site of Fort Faleria, its significance rose a hundredfold!" To clear the excavation site you need to head inside Tribune's Folly and defeat the world boss Limenauruus. It is easiest (and quickest) to kill him with a group. The Cross-Cultural Relic can be found in the same room. 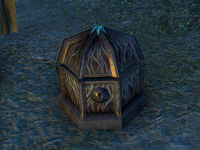 The Martial Relic is found outside the ruins of Fort Strand and the Personal Relic is found at an abandoned campsite east of Tribune's Folly. These two relics are each guarded by groups of three shadowy enemies, but you can escape them if you manage to collect the relics before engaging. When you have finished all the tasks, return to talk to Finia Sele. She will anxiously ask, "You've returned! Were you successful? Can we return to the dig site and continue our work?" The site has been cleared and I recovered your relics. "Wonderful! Once I get the new dig underway, I'm sure we'll make progress quickly. I can't believe that not long ago, this was just a smoking hole in the ground. Now we may have uncovered the complex that gave Tribune's Folly its name!" When you speak to Finia later, she will say, "I just hope the artifacts recovered will be enough to convince our patrons to continue funding our troubled dig." The reward bag may contain an Oxblood Fungus sample or a Minotaur style chapter, as well as set pieces such as Hide of Morihaus. I need to clear the excavation site of the source of the trouble and recover abandoned artifacts unearthed from the dig. Finishes quest I recovered the relics and cleared the dig site of threats. 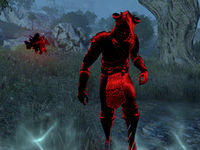 I should return to Kvatch and speak with Finia Sele to claim my reward. This page was last modified on 25 July 2018, at 11:18.